I have made an time tracking app public in GitHub for people to browse and maybe learn from. 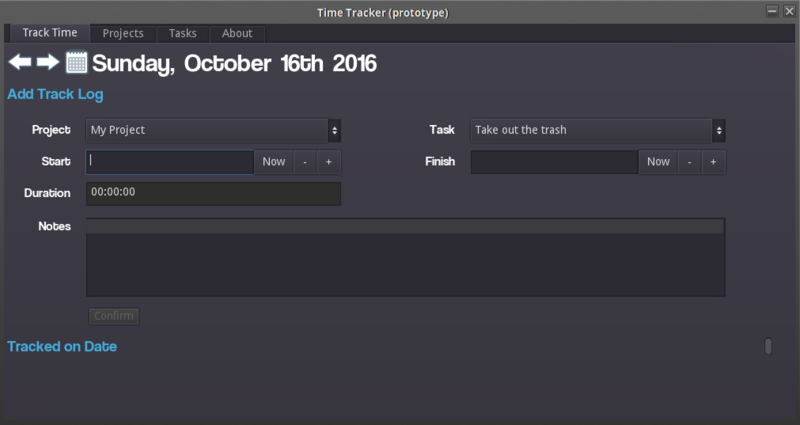 It is an unfinished, but functional time tracking app that allows you to setup your own Projects and add Tasks to each project. You can then select the project & task and start a timer to indicate you are working. When you are done working you can press stop and it will be updated. You can also manually insert new times, as long as you remember to set the date in the calendar. A more detailed to-do list can be found on the GitHub page under “Projects” tab.